DUE TO SNOW, THE PITCHING SUMMIT HAS BEEN MOVED TO WED JAN 22 AT THE DOUBLETREE IN MAHWAH – NOTE THE NEW DAY AND LOCATION! Professional Baseball Instruction and the Baseball Health Network present the 2014 Pitching Summit featuring legendary former Major League pitching coach Leo Mazzone on Wednesday January 22, 2014 at 6 PM at the DoubleTree By Hilton in Mahwah NJ. Also in attendance that evening will be former Major League pitcher Gary Lavelle, Chief Clinical Officer and physical therapist Mark Amundson from Twin Boro Physical Therapy, and PBI president and owner Doug Cinnella. This is a great opportunity to tap into one of the greatest pitching coaches in the history of Major League Baseball! 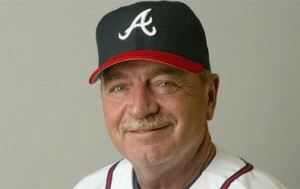 As the pitching coach for the Atlanta Braves, Leo Mazzone was instrumental in the development and success of famed pitchers Tom Glavine, John Smoltz and Greg Maddux. Under his guidance, the Braves won an unprecedented 14 consecutive National League Eastern Division titles and the 1995 World Series. Maddux and Glavine were recently voted into the National Baseball Hall of Fame by the members of the BBWA. 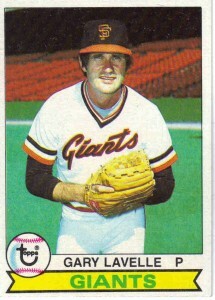 Gary Lavelle pitched professionally for 21 years including 13 at the Major League level with the San Francisco Giants, Toronto Blue Jays and Oakland Athletics. A 2-time National League All-Star, Gary is the Giants #1 leader in saves for a left-hander and the team’s #2 all-time saves leader. His accomplishments as a member of the Giants are commemorated by a plaque at AT&T Park in San Francisco. Lavelle also served as pitching coach in the New York Yankees organization for 5 seasons. He is currently the head baseball coach at Greenbrier Christian Academy in Chesapeake VA.
Mark Amundson will be speaking on his company’s innovative “One2Four” approach to treatment of athletic injuries that identifies patients along a defined continuum of care, levels one through four. The program was developed to achieve goals of each patient in order to maximize the individuals function and outcomes. This team treatment approach uses Evidence Based Practices (EBP) collaboratively with Orthopedic Surgeons (Ortho), Physical Therapists (PT), and other Specialists alike. The evening will be hosted by Professional Baseball Instruction owner Doug Cinnella, and Baseball Health Network founder Steve Hayward. COST – $29 per coach/player. SPECIAL GROUP RATE – 3 or more coaches/players coming together pay just $19 each. TO REGISTER – fill out the form below or call us TOLL FREE at 800-282-4638.